Founded in 2010, The Last Billboard is a 36-foot-long rooftop billboard located on the corner of Highland and Baum Boulevard in Pittsburgh. The custom designed sign consists of a rail system with 20-inch modular wooden letters that are changed by hand. Each month, a different artist is invited to write a short message for the billboard. The billboard is curated through direct invitation only. 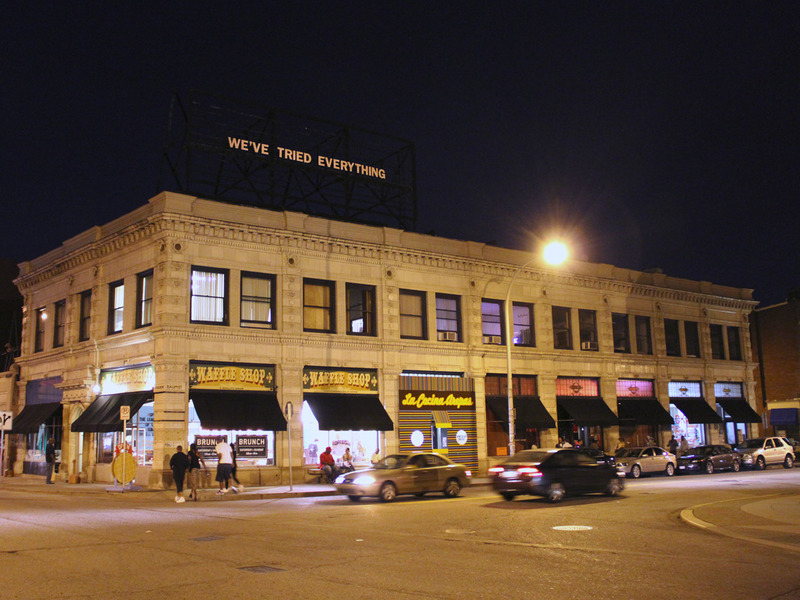 The Last Billboard was conceived, and is curated, by Jon Rubin, Professor of Art at CMU. It was fabricated by Pablo Garcia and Jon Rubin. 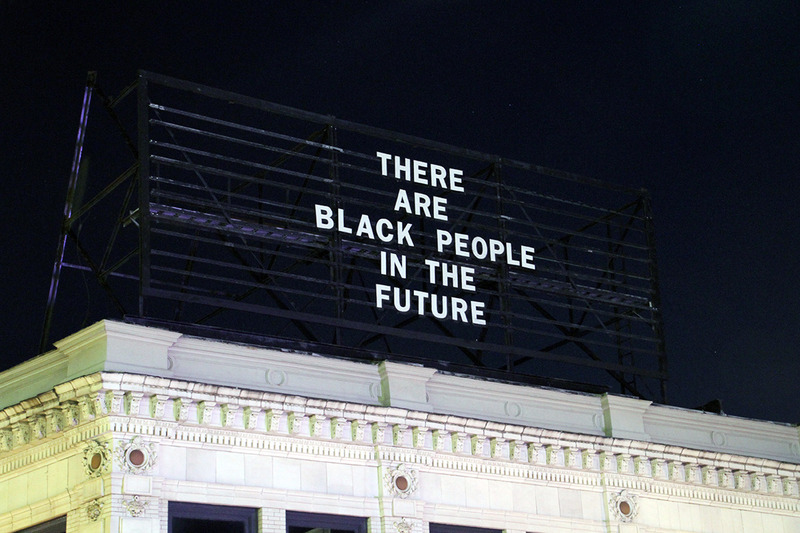 Funding for The Last Billboard comes from The Pittsburgh Foundation, and is administered by the Frank-Ratchye STUDIO for Creative Inquiry at Carnegie Mellon University. More information about the project can be found at http://thelastbillboard.com/. 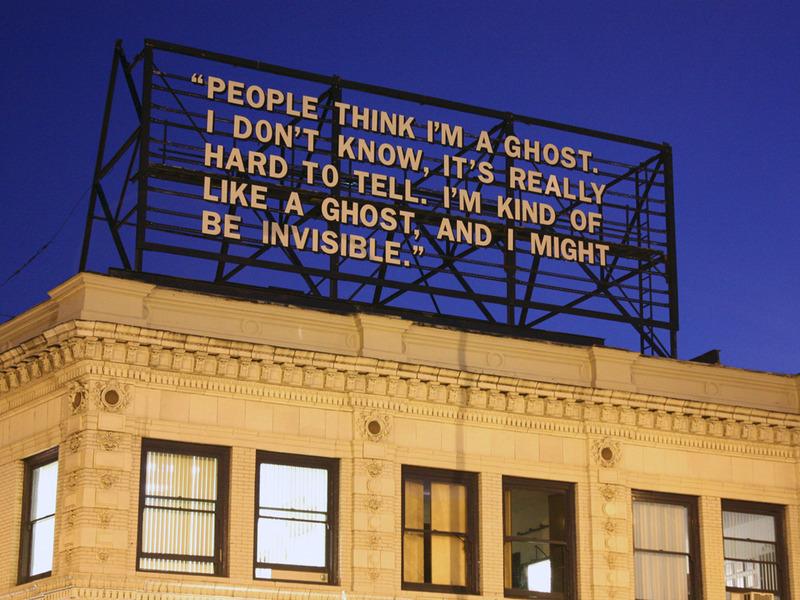 Since 2010, The Last Billboard has featured the wordcraft of artists including Alisha Wormsley, Nina Katchadourian, Paul Ramírez Jonas, Packard Jennings, Laure Prouvost, Pablo Helguera, Lenka Clayton, Tamara Shopsin, Joseph Del Pesco, Eric Gottseman, Neil Farber and Michael Dumontier, Micah Lexier, David Horvitz, John Riegert, Jim Christensen, Jonn Herschend, Taylor Shields, Milena Bonilla, Sarah Keeling, Kim Beck, Jason Fulford, The Janks Archive, Adam Frelin, Charlie Humphrey, Matt Shain, Joshua Beckman, Marc Horowitz, Maude Liotta, Anthony Discenza, Michael Crowe, and Brett Yasko.